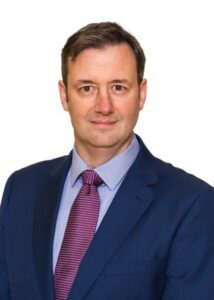 Michael D’Arcy TD is Minister of State at the Department of Finance and the Department of Public Expenditure and Reform with special responsibility for Financial Services and Insurance. He believes that the most important traits in a public representative are honesty, accountability and integrity. I was first elected to Dail Eireann in May 2007 receiving 7,692 first preferences. During this term in the Dail I was appointed Deputy Spokesperson on Justice, with Special Responsibility for Equality, from October 2007. I also served on the Oireachtas Communications, Energy and Natural Resources Committee and published a major report on the Anaerobic Digestion (alternative energy) industry, which I believe can support thousands of jobs in rural and urban Ireland. In 2011, I stood for re-election to Dail Eireann. Unfortunately, despite increasing my vote to 8,418 first preferences, I was unable to take the seat back for the people of Wexford. This prompted me to think about my future in politics and the people of North Wexford who no longer had a national public representative. I therefore decided to run for Seanad Eireann so that I could continue to represent my constituents. I successfully secured a seat on the Administrative Panel with 89,000 votes in April 2011. I am currently the Government Spokesperson on Finance in the Seanad, a vital role which I am honoured to hold at this crucial time in our history. I ran in the 2004 Local Elections, where I topped the poll in Gorey District and recorded the highest number of votes in County Wexford. I subsequently became Vice-Chairman of Wexford County Council, serving in 2004-2005, Chairman of Co. Wexford VEC and a member of the board of management of both Gorey Community School and Kilmuckridge Vocational College. I am also a former Director of Wexford County Enterprise Board (CEB), Wexford Organisation for Rural Development (WORD) and Forest Park Leisure Complex, Courtown. In addition to my role as an Oireachtas representative, I also run a dairy farm and employ two people. Educated at Ballythomas National School, Gorey Christian Brothers and the University of London. I won an All-Ireland junior football title with Wexford in 1992. I also won five Wexford senior football titles with Kilanerin and played youth soccer with Wexford. Married since 1996, we have two kids – a boy and a girl. © 2019 Fine Gael. All rights reserved.